Description: Sunday! Sunday! Sunday! Overclocking Gone Wild! You'll buy the whole seat, but you'll only need the edge! 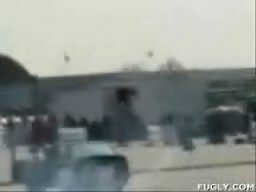 Some guy gets run over by his own car while performing stunts at a car show. Cut your hair, Ritchie Jackson.